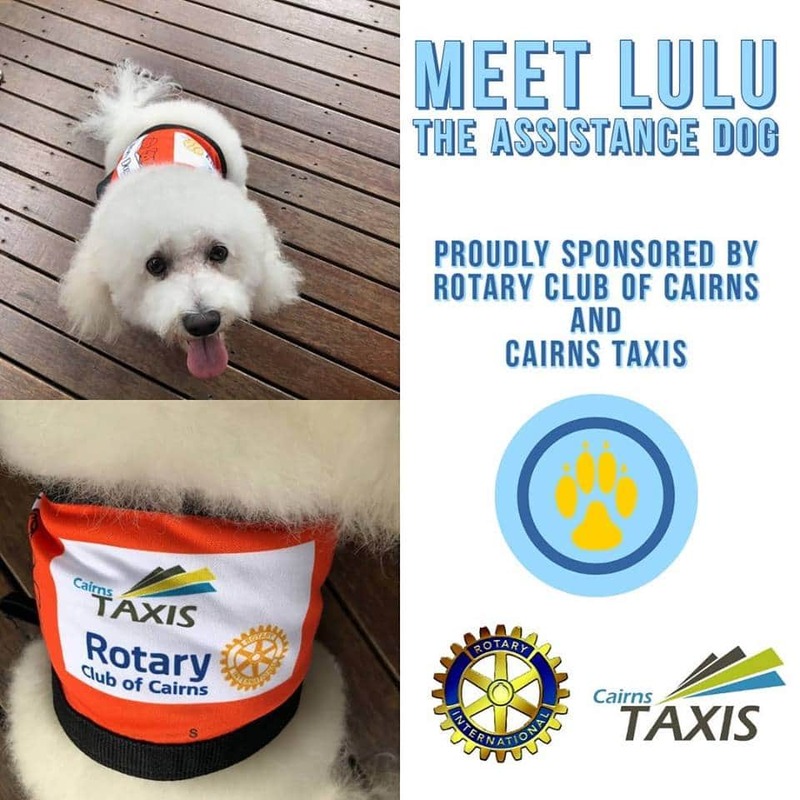 Cairns Taxis in conjunction with the Rotary Club of Cairns are sponsoring Lulu the STORY DOG. This is a Literacy Program for All of Australia. To make reading fun for children, so they become confident lifelong readers. No child should be left behind in literacy. Story Dogs facts – They help over 2200 children each week. There are 440 current volunteer Dog Teams. They partner with 258 schools in NSW, QLD, VIC, TAS, WA, SA and ACT. They have 280 Dog Teams fully sponsored; this is only 63%. Learning to read is often less about intellectual limitation than about overcoming fears. “Fear can destroy intelligence,” says educator William Ayers. Animals are ideal reading companions because they promote relaxation and lower blood pressure, do not judge, laugh or criticise and allow children to proceed at their own pace. During the session, the handler often speaks through the dog, such as; “Sam doesn’t understand what is happening on this page, could you help him out?” The child becomes the teacher as they help the dog understand, and their confidence soars. Our volunteers come with fun, interesting books that are specifically chosen for beginner readers. The students also have input into what they read. We encourage the students to write letters to the dogs between reading sessions, further encouraging literacy skills.